What more could a sunny morning bring to improve the day? Not much, since I'm quite happy with a multi-cultural bowl of quinoa goodness and a view of Mt. 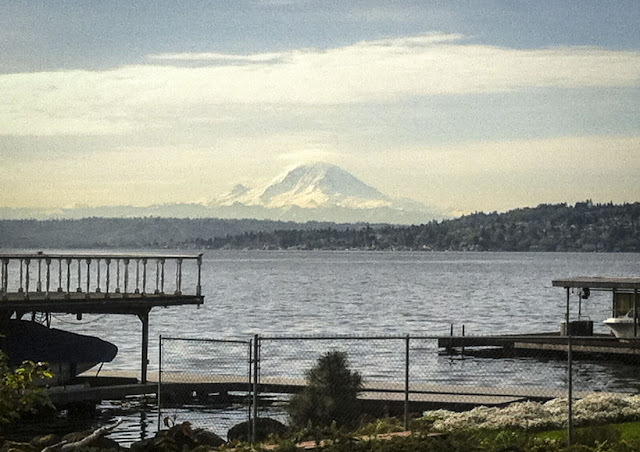 Rainier out the kitchen window. 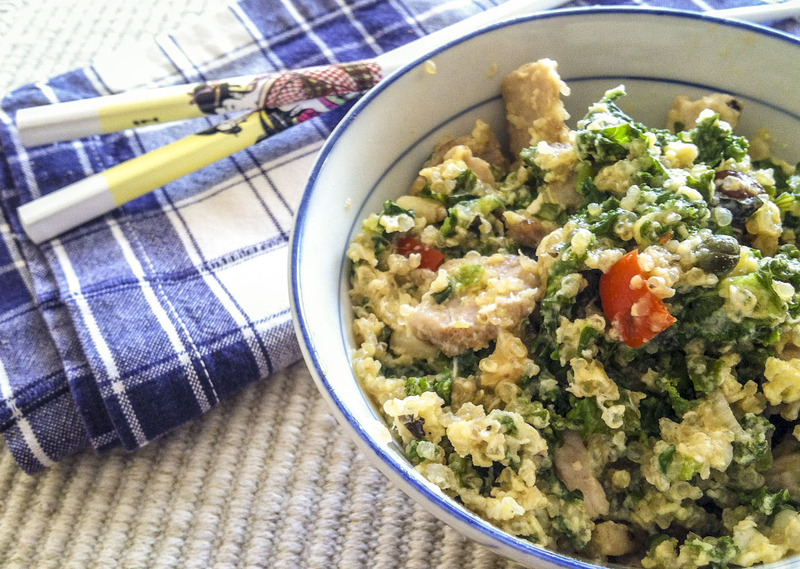 A mounded half-cup of Quinoa Mediterranean Salad leftovers joined a quick Asian stir-fry of slivered pork, fresh kale and a pair of scallions with a sprinkle of ponzu, a tablespoon of Thai sweet chili sauce and one beaten egg. The resulting dish just filled a rice bowl with a pleasing combination of sweet, savory and salty tastes - cranberries, red peppers, capers, kale, citrusy soy sauce and sweet hot chili sauce... Totally delicious. Why so happy this morning? It helps that the kitchen television is off, so I can ignore the repetitive 24-hour coverage of disasters near and far. It helps that breakfast was yummy, healthy and quick to fix. It helps that Seattle is forecast to have more than three days in a row of sunshine. It helps that I scored a dental appointment on short notice. It REALLY helps that The Mountain is out... and I remembered to pause and enjoy the view.